When buying a home it is essential to get a survey carried out as soon as possible after your offer is accepted. Home Estate Agents take you through the four main types of survey a buyer can purchase. 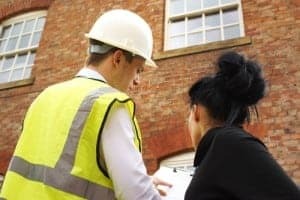 A survey is a detailed inspection of a property and can tell you everything you need to know about the condition of a building. It can give you peace of mind that there wont be any unexpected surprises later on and tell you whether the property is actually worth the amount you have offered. If you discover there are repairs to be done, you may be able to negotiate a lower asking price, or budget for any costly work. What you type of survey you get, and how much the report costs depends the condition and age of the house. A valuation report, as opposed to the other types of survey, is simply there to tell you whether the property you are about to buy is worth the amount that you have offered for it. A valuation report will provide you with a market valuation of the property but will not go into any detail about its structural condition. A condition report is the simplest form of survey you can get. The purpose of the survey is to give the homebuyer reassurance by providing an objective overview of the property without going into extensive detail. A homebuyers report will give you a much more detailed overview of a property, and will include a market valuation. How much problems could cost to fix further down the line. Building surveys are particularly useful if you are buying an old, listed or unusual property. Unlike the Homebuyer report, a building survey won’t include a valuation. Detailed inspections behind walls, above ceilings and between floors.